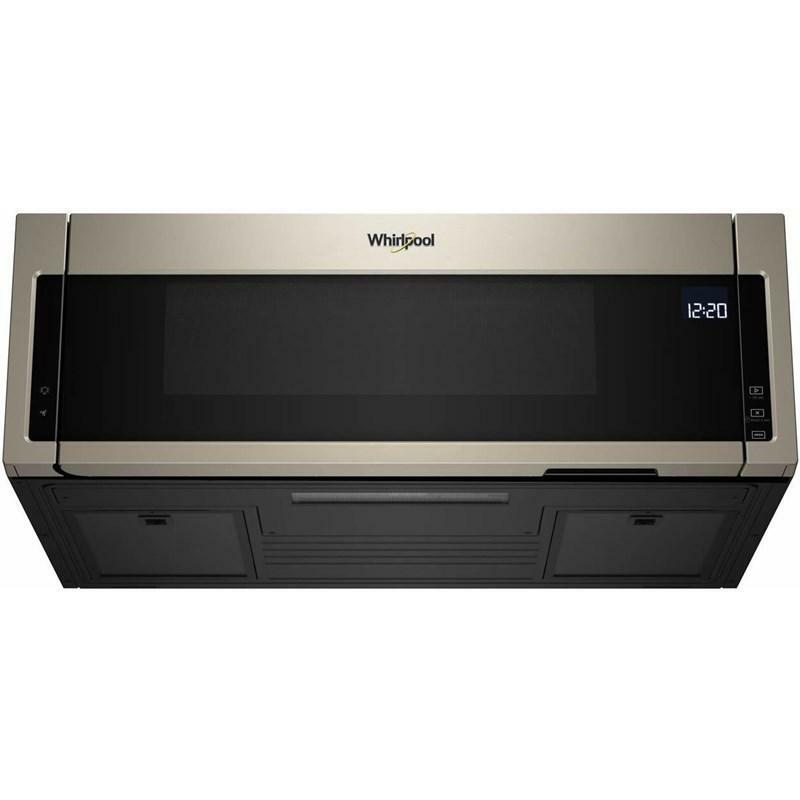 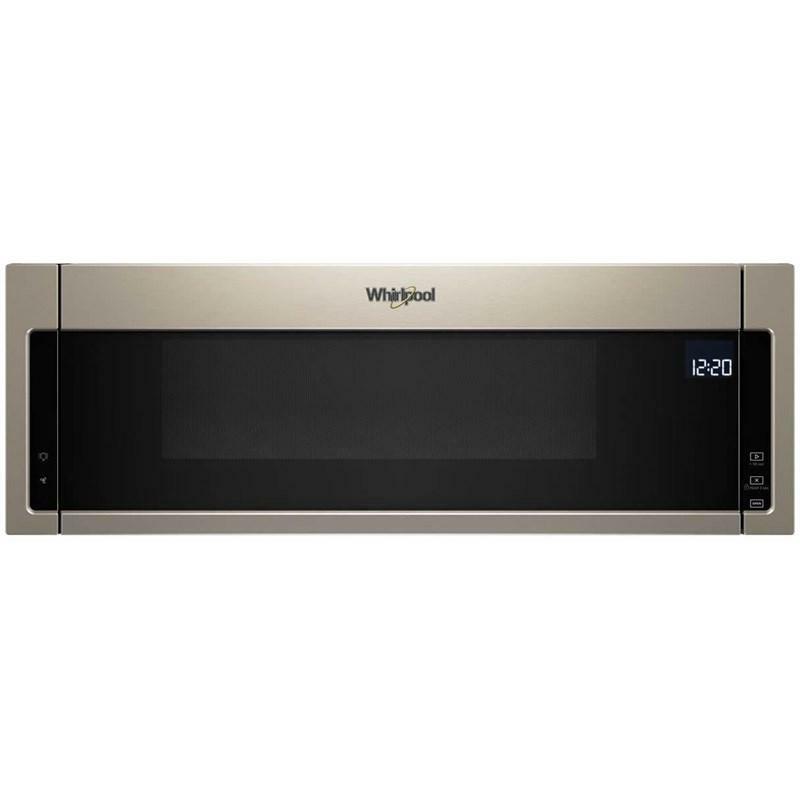 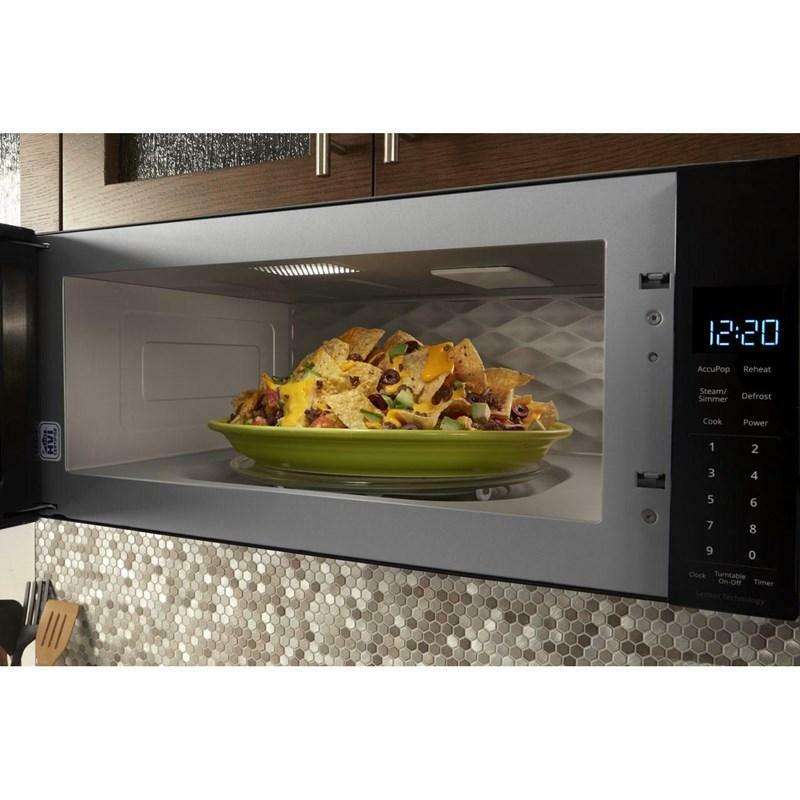 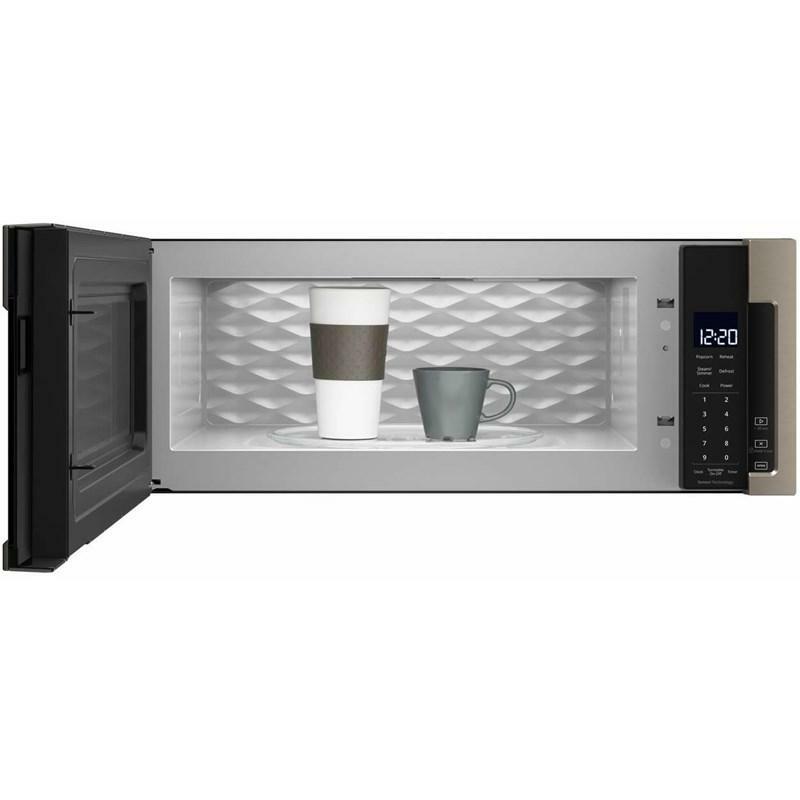 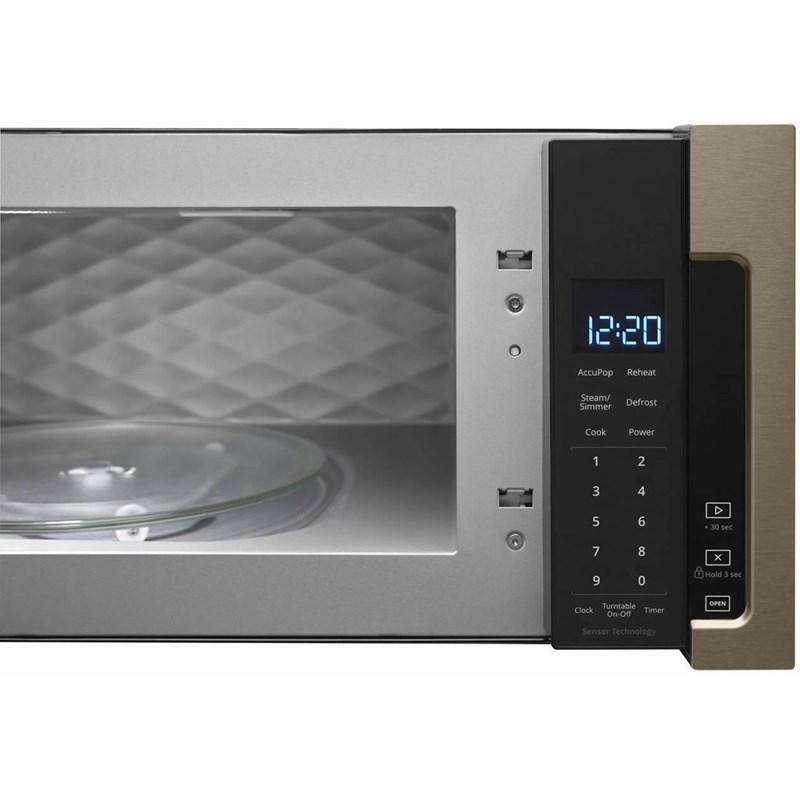 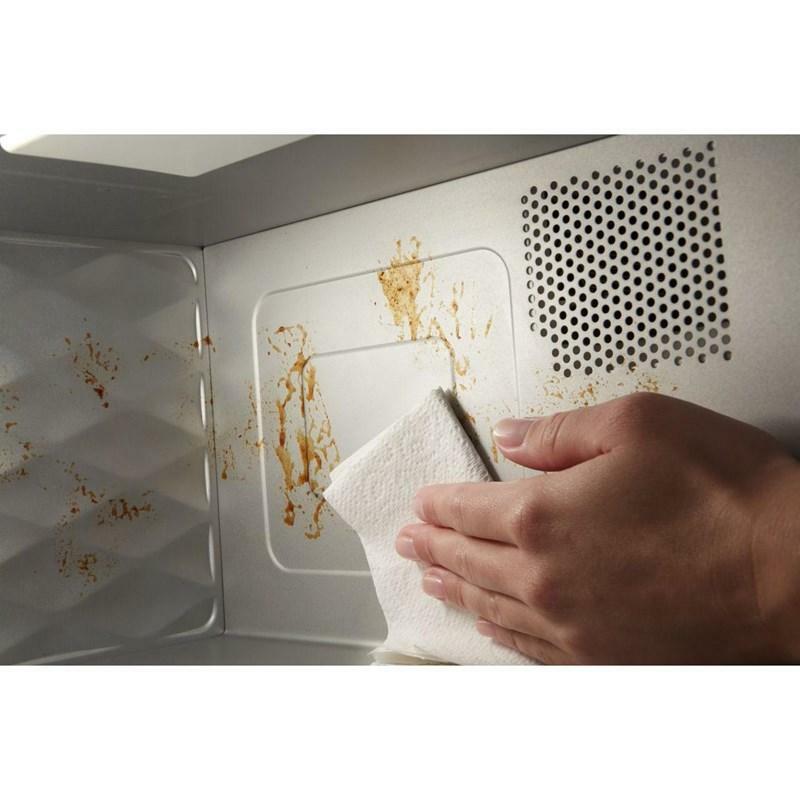 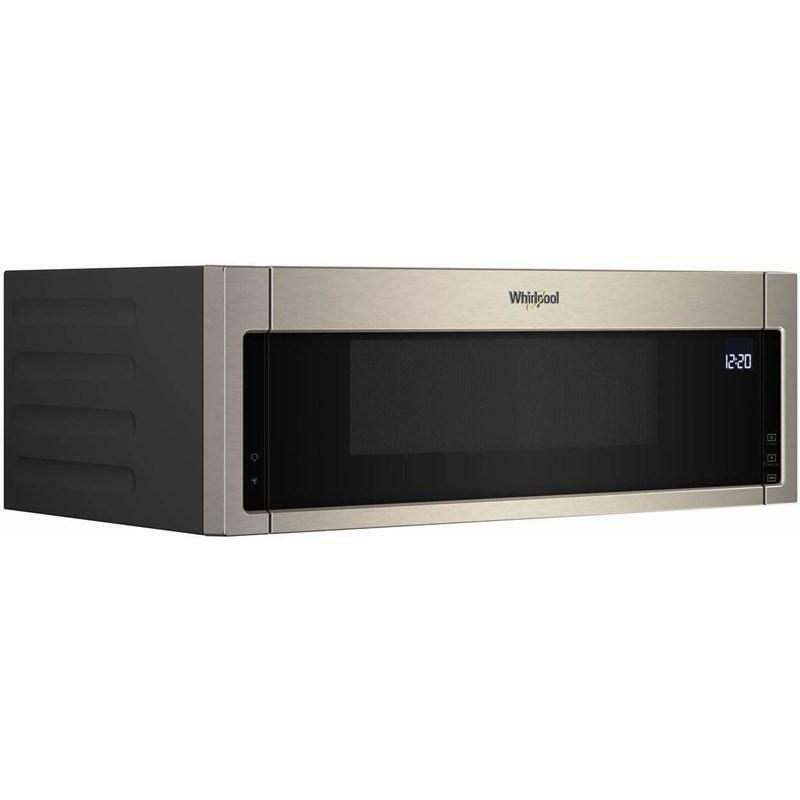 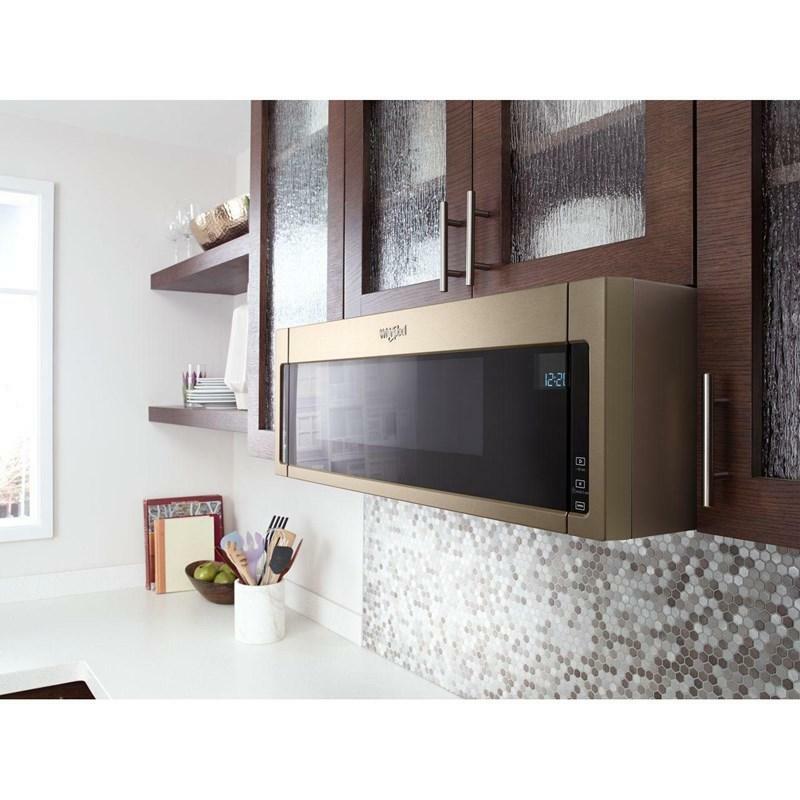 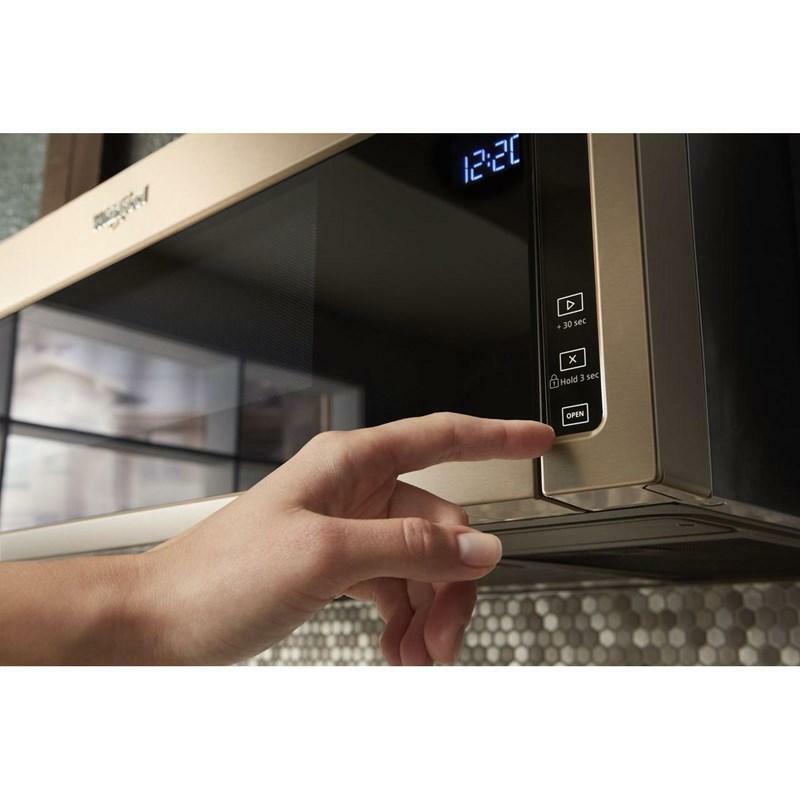 Find a better fit for your kitchen with this small over-the-range microwave with vent that removes smoke, odor and moisture like a standard hood. 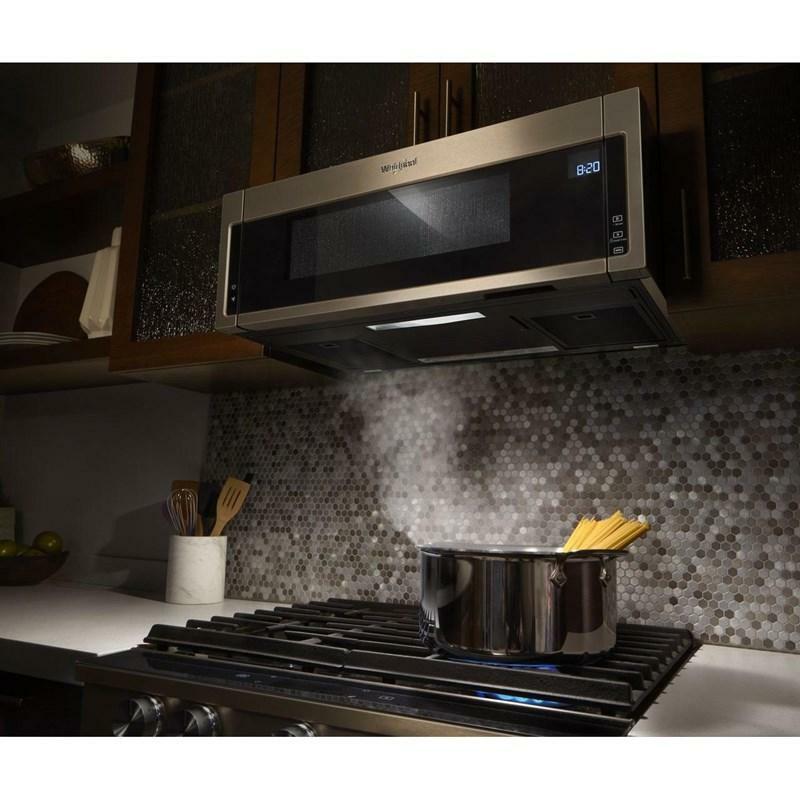 Save space with a low profile design that fits in the same space as your undercabinet hood but can still cook all the essentials with 1.1 cubic feet of purposeful capacity and 1,000-watt cooking power. 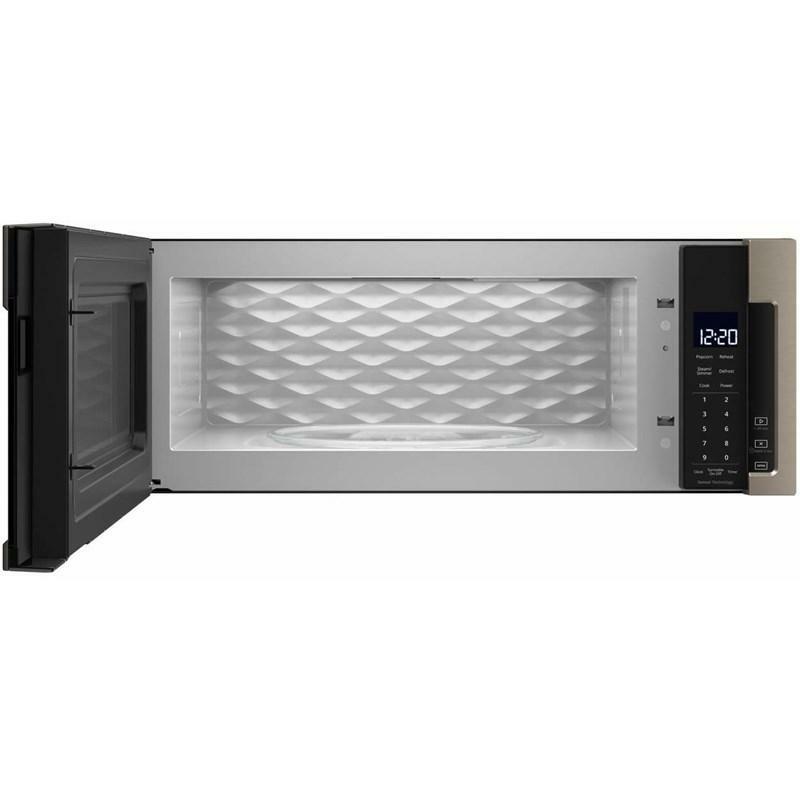 Additional Dimensions • Depth with door open 90 degree: 42 1/8"